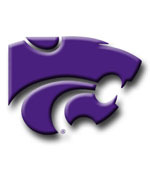 The Powercat logo was created in 1989 by Kansas State University art professor, Tom Bookwalter, in response to a request from the new head football coach, Bill Snyder. 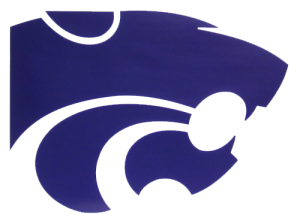 The hope was to create a sleek, contemporary logo that would signal the start of a new era of winning and help change the image of the football team. The Powercat Geoart Trail is the culmination of an idea I had three years ago and it has required over a year of preparing containers, buying swag, hiking trails to place caches, multiple trips to recheck coordinates, and long hours of creating cache listings. Fifteen of the caches contain clues to a grand finale. Please do not arrive with pre-signed logs and plan to do "swap and drop" on this trail. RETURN EACH CACHE TO ITS ORIGINAL LOCATION. There is not a cache at the posted coordinates. Scroll down and do the simple math puzzle to obtain the cache coordinates. Bring your own writing utensil. This cache should be a fun way to start the trail. Pay attention to the attributes and the rating. You will need a special tool. This is not your average geoart. That should be obvious given the beauty of the art, but it goes deeper than that. You will walk over 13 miles to find all 100 caches in this geoart series. There are no PnGs. The caches are placed on the multiple trails that encircle Banner Creek Reservoir. Some are easy, some are not. Some will have high terrain ratings. Some will require TOTTs. Please pay attention to D/T ratings and attributes. Most of the containers are small camo'd LnLs, about 8-10 are camo'd matchstick holders. There are a few bison tubes and one or two ammo cans. The primitive trails are packed earth and grass. They keep the grass mowed frequently during the spring and summer. The trails are approved for hiking and biking and there are some sections that can be difficult if muddy. There are over six miles on the NW portion that have been approved for horseback riding. The trails will definitely be easier from late fall until mid-spring. Some caches are close to the trail, some are farther off the trail and will require some bush whacking. Be prepared to encounter thorns, ticks, bugs, snakes, poison ivy, and brush. Also be prepared to view a large assortment of wildlife -- deer, turkeys, bald eagles, numerous species of waterfowl and all the other small critters you would expect to encounter in the woods. 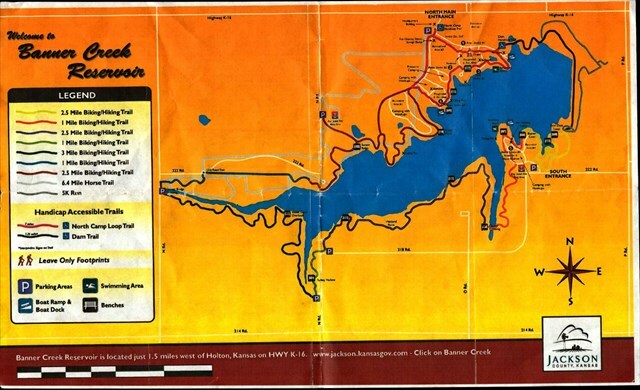 Here is a map of Banner Creek Reservoir and the trail system. There are waypoints for seven parking options at various locations around the lake given with Powercat Geoart Trail #1 - GC5TJZ0. Please see that cache listing for these options and choose wisely. Please feel free to park at one of the locations and walk the whole loop, but bring along plenty of water, food, and your pain reliever of choice. I highly recommend having a partner and park one vehicle at a midway point. You can then work through part of the series and drive the second car back to pick up the first car. Most of the parking locations will require no fee. The main entrance to the lake on the north side will require you to purchase a $3.00 day pass, but they will also allow you to park at the entrance and not pay the fee. This will add some distance to your walking. There is also a camping entrance on the south side that will require a fee, but there is a free parking option outside the fence. Banner Creek Reservoir is located immediately to the west of Holton. There are many fine restaurants in Holton, a few fast food options, and a couple of grocery stores. There are at least three hotels and camping is available at the reservoir. Banner Creek Science Center and Observatory offers many opportunities to view the night sky and is located on the NW side of the reservoir. Plan to spend a few days in the area and enjoy the small town ambiance. The puzzles are simple. Use the listed north coordinate and do the math. Repeat for the west coordinate. You now have the location of the cache.